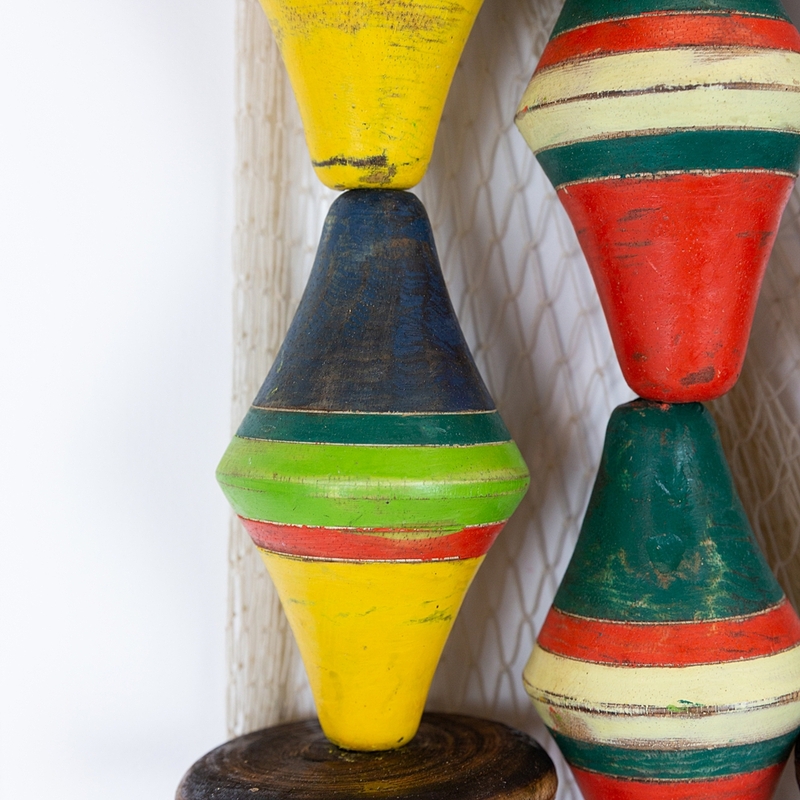 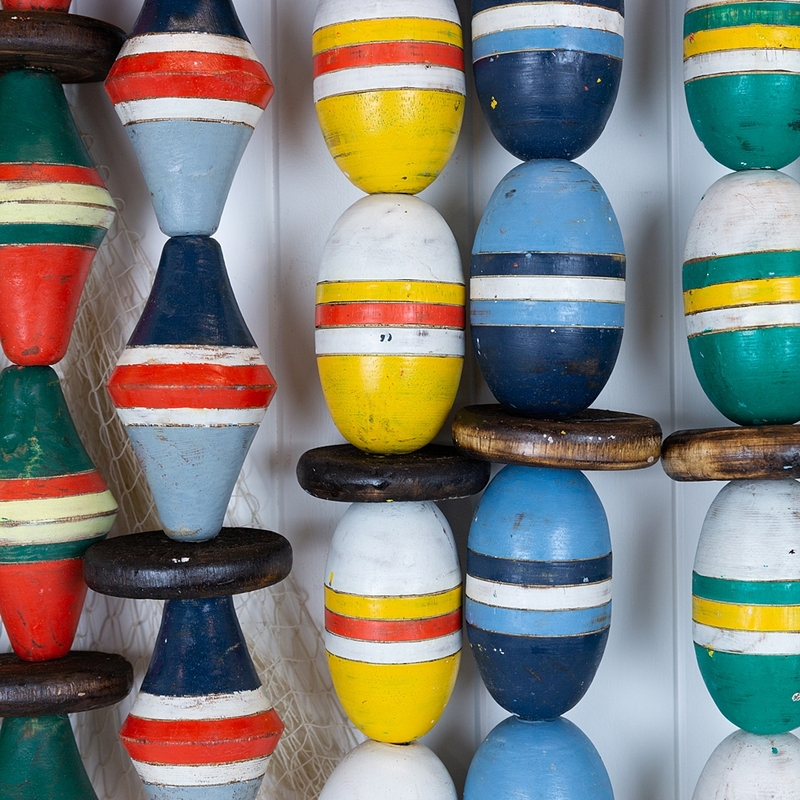 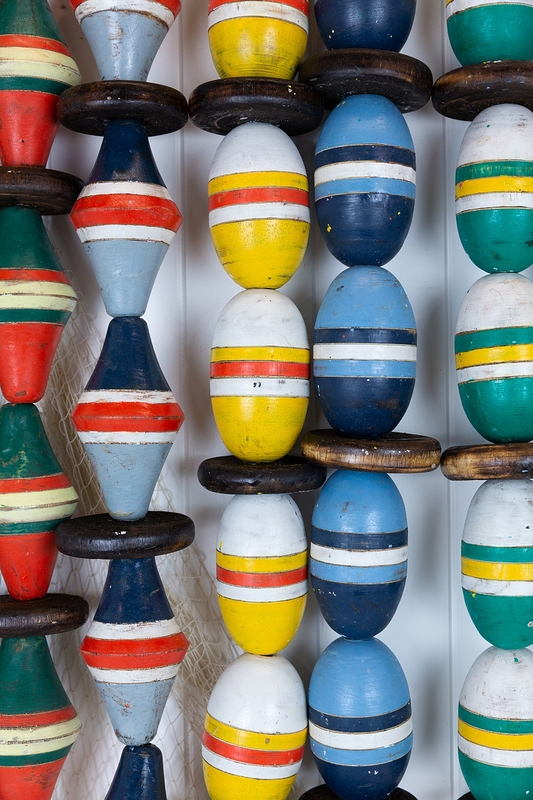 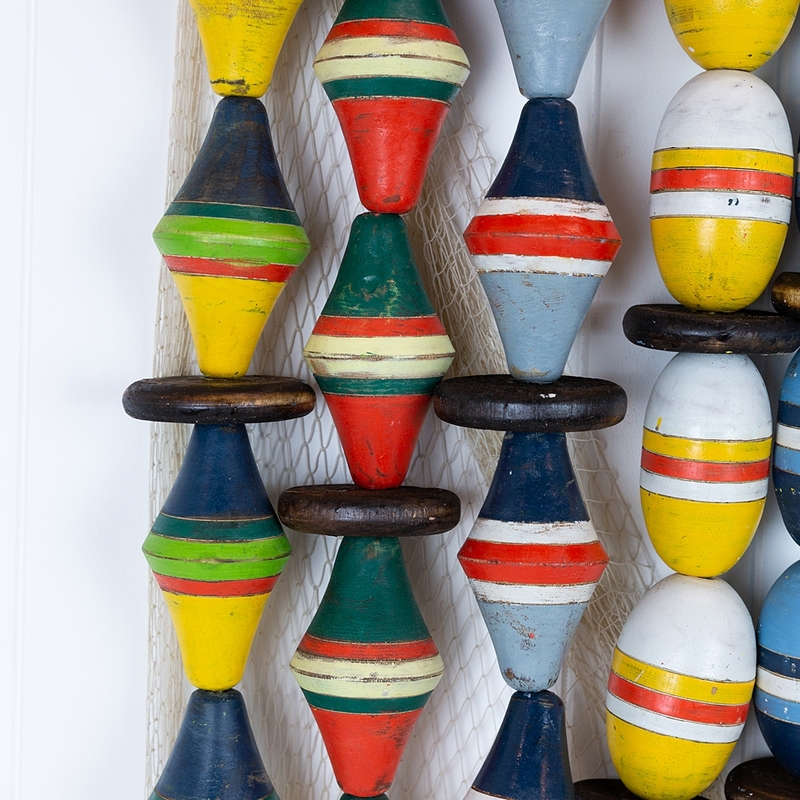 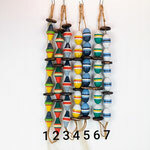 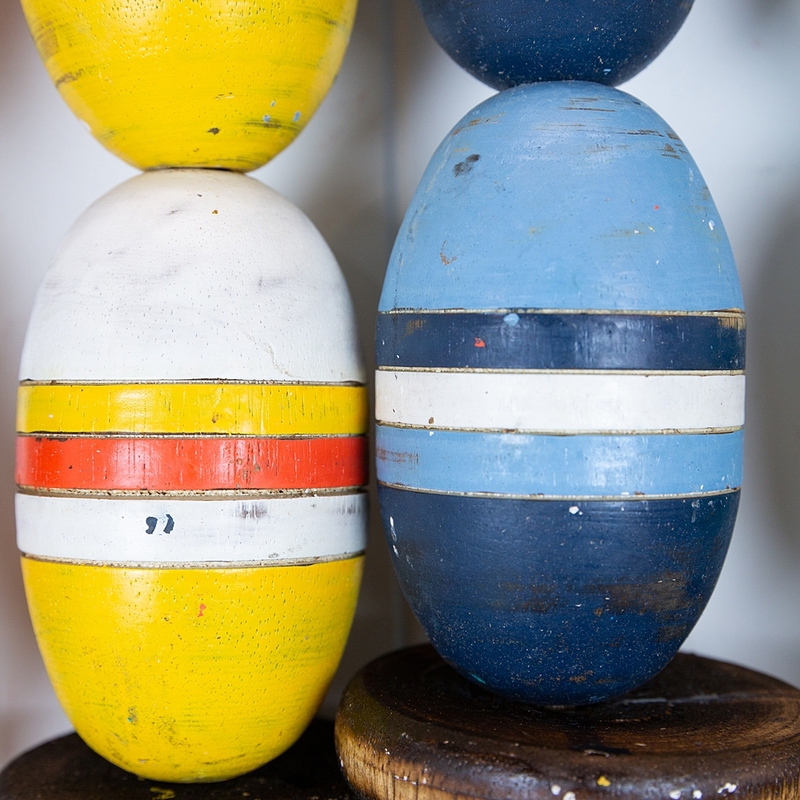 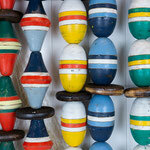 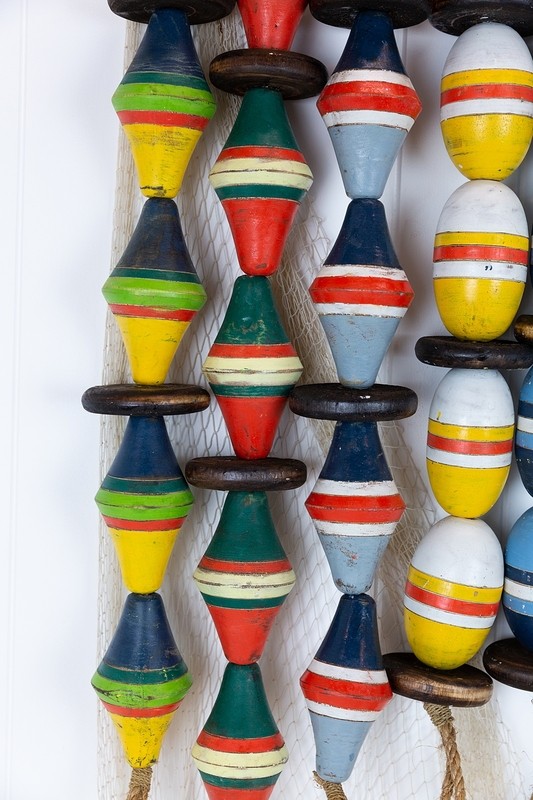 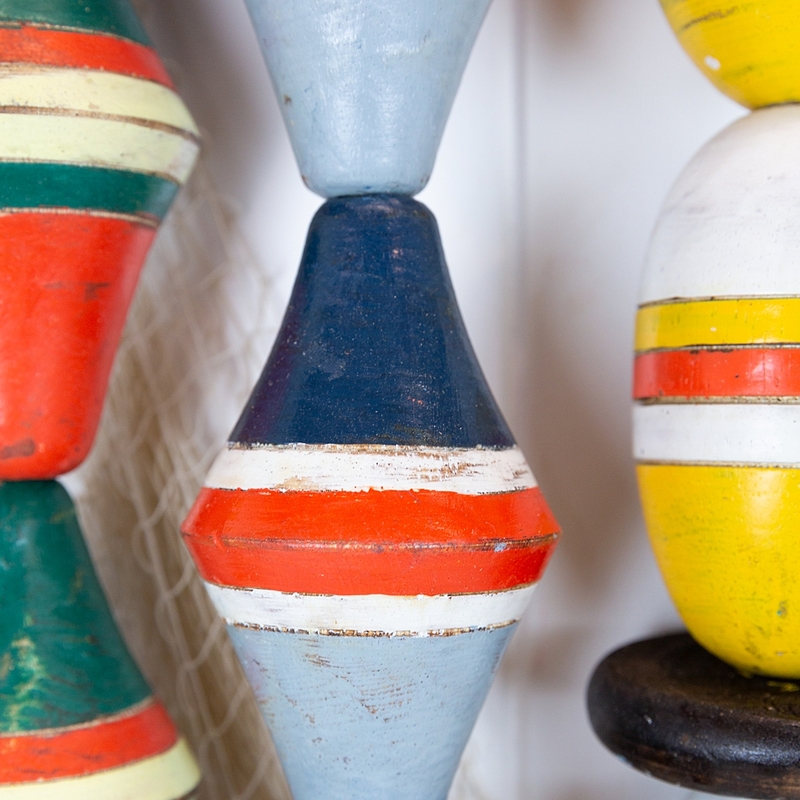 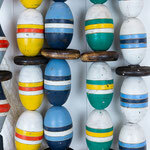 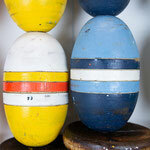 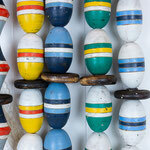 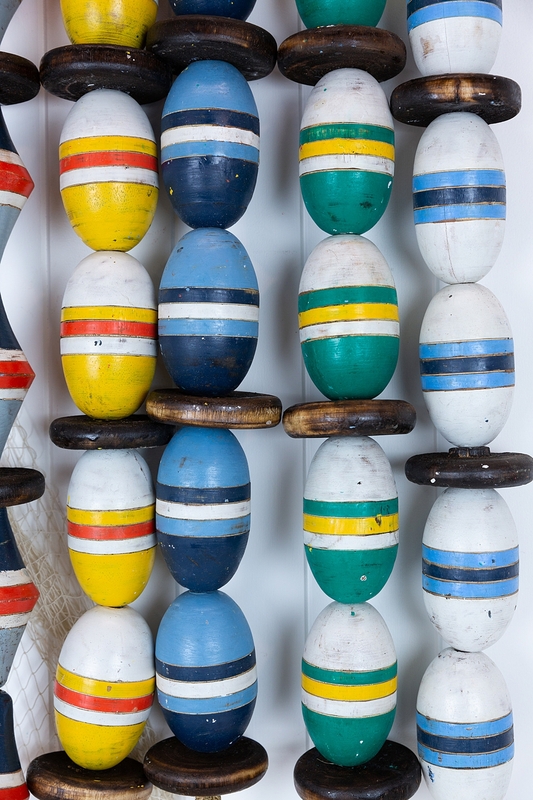 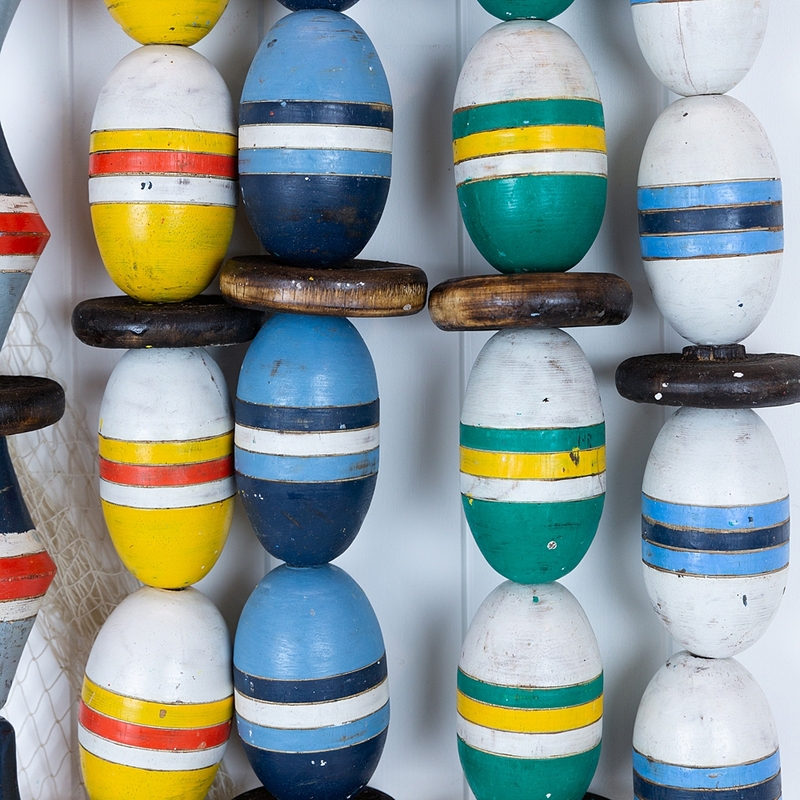 These wonderful colourful replica wooden buoys make great styling pieces. 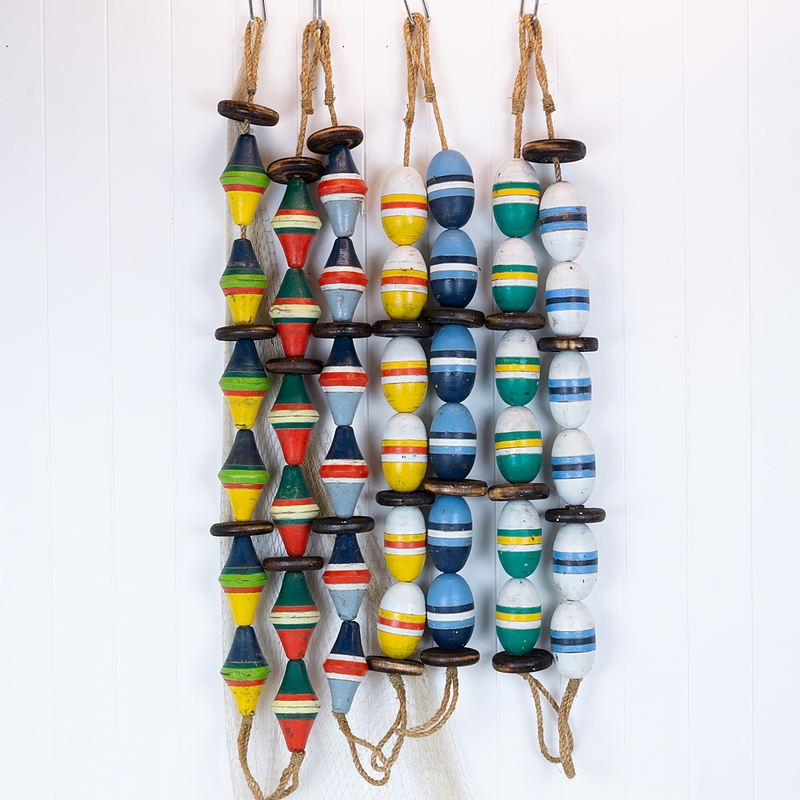 Each piece of rope holds six buoys with circular disks. They would make a great feature in the garden hung from a tree, or out by the pool. 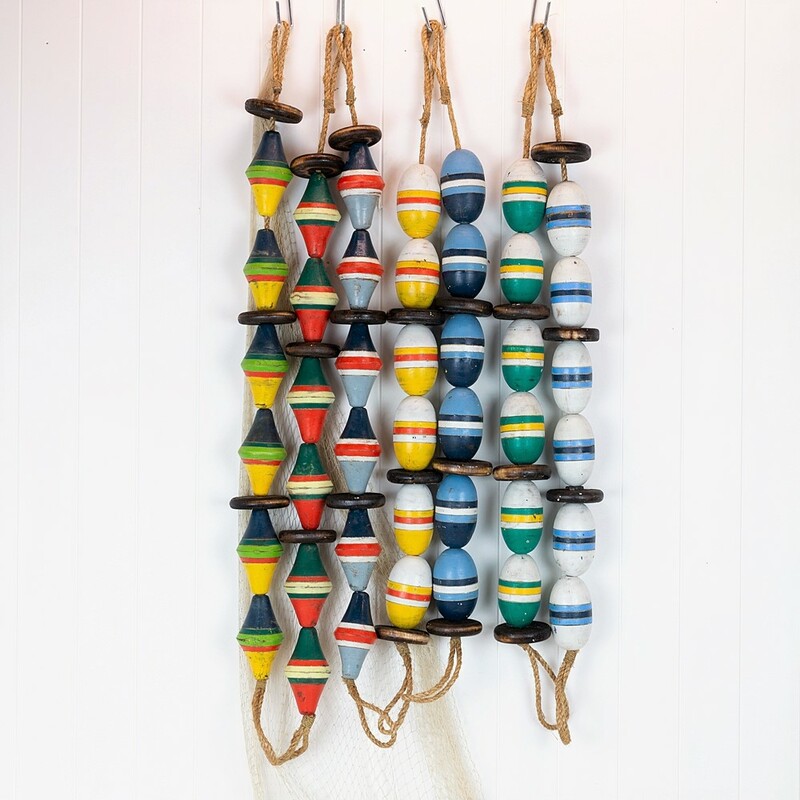 Perfect beach shack decor! 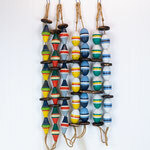 We have several available, the listed price is for one string of buoys. 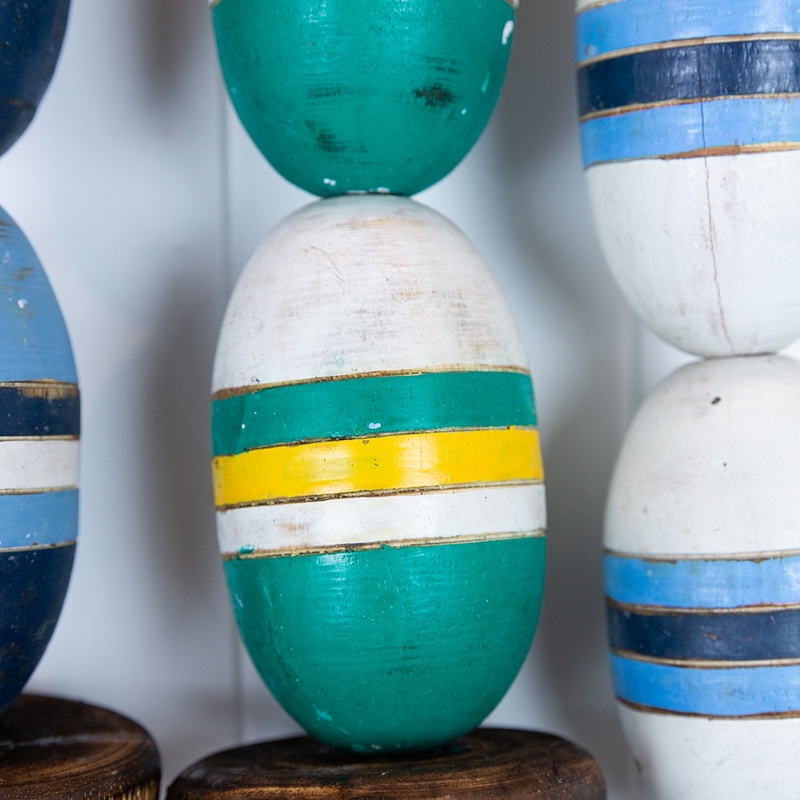 They floats come in an oval and a diamond shape. 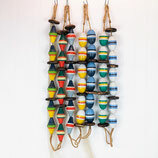 We have seven colour combinations available. 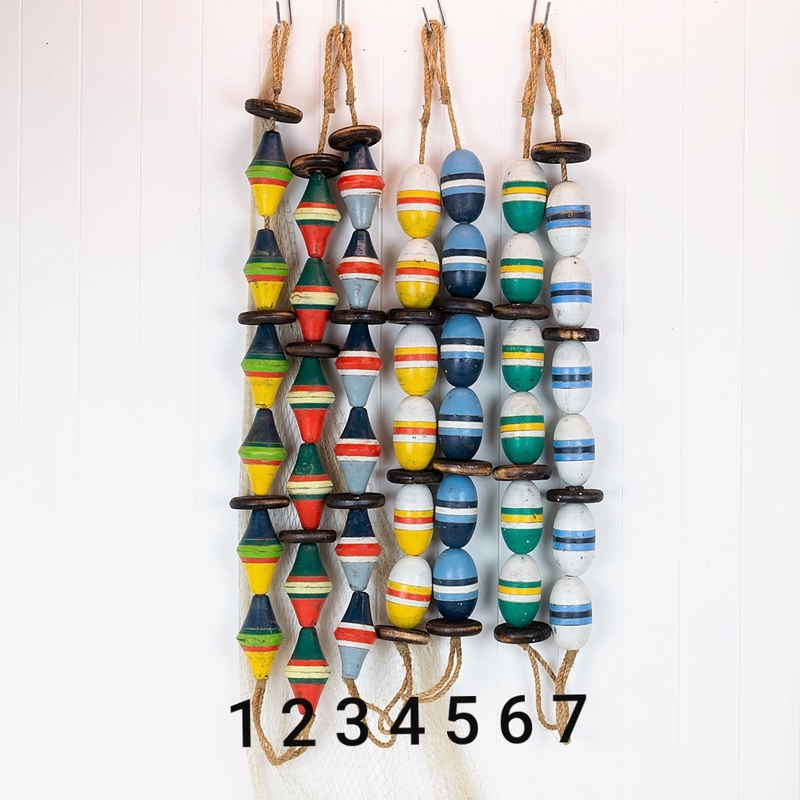 Please see the numbered photo below to help yo with your selection.